Welsh wizard Leighton Roberts (Cunliffe) picked up his first ever Isle of Man Main Men’s Bowls Festival title last week at the second time of asking. ​After falling at the final hurdle in June last year, Roberts was in no mood to let this final slip through his fingers against former Champion, and festival stalwart, Martin Gilpin (Kendal Vic). ​That said he didn’t have things his own way and despite leading 14-10 found himself level at 15-15 and then again at 17-17 as Gilpin, the master tactician from Cumbria, tried to use all his experience to outfox the youngster and add another festival title to his long list of honours. ​Conditions on finals day deteriorated with every bowl sent, but not even the foul weather could stop Roberts who dug deep, and when some thought he might falter due to nerves he found the composure of a true champion. as he managed to seal the win 21-18. 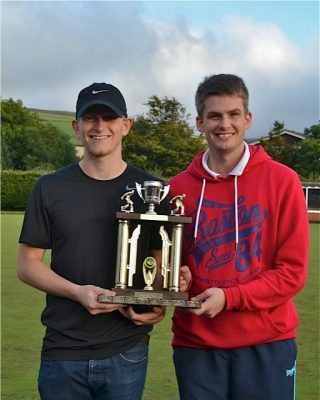 ​Champion Roberts booked his final birth thanks to a 21-12 win over James Wilcox (Crossgates) and a nail biting 21-20 win over Neil Slattery (Nimble Nook), in which he came from behind with some brilliant bowls to edge to victory. ​Gilpin was on song in the semi-finals where he eliminated bookies favourite, close friend and Kendal Vic stable mate Ian Nicholson 21-15 after starting the day with a 21-9 win over Graham Higgins (Lower Hopton). Marown’s Colin Kelly was the furthest local in the men’s main competition losing out in the last eight to James Wilcox.​It was a much better showing for Manxmen in general as in June they failed to get a single player to the last 32 of the competition and this time around eight of our own made it to the same stage. ​Tracy Ryan (Meole Brace) bagged the ladies title with a dominant finals day display which never really saw her threatened. She lifted the trophy after a 21-16 final victory over Olwen Edwards (Llanfair Pwll). Ryan was control from the off and after going 11-6 up managed to ensure Edwards never closed the gap moving to 19-14 up before the latter rallied but could never get back on terms. ​Janet Monk (Mooragh Park) was the furthest local lady in the competition as she did exceptionally well to make the semi-finals before going down to Ryan 21-10. ​Monk wasn’t the only Manx player in finals day and was in good company as Lyn Bolton and Elaine Moore (both South Ramsey) made the last eight. 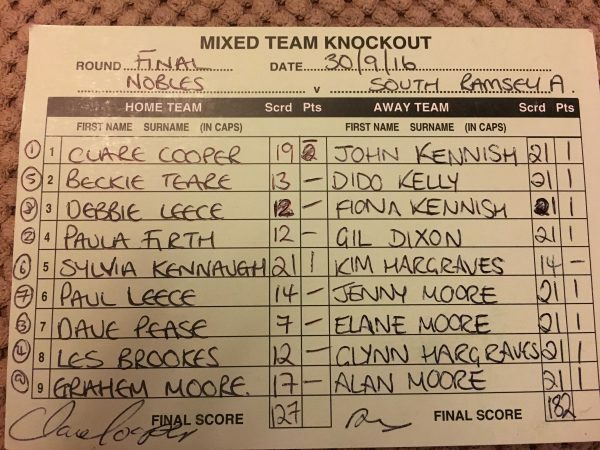 In fact Monk played Bolton winning 21-14 to make the semis whilst Moore fell 21-18 after a highly entertaining affair against Carleen Doody-Millington (Meole Brace). ​Thursday morning saw the final stages of the Mens and Ladies Tourism Competitions and there was some good local presence and some brilliant performances as both Glynn Hargraves and Christine Price made it to the finals of their respective competitions. ​Hargraves eventually lost out 21-11 to Ian Nicholson after battling hard in his two previous matches, beating Paul Beer (Meole Brace) 21-20 in his first match of the morning and David Halstead (Kirkham) 21-16 next time out. It was a good week for Glynn who showed some of his best form throughout the week, as he also made the last 32 of the main competition and he should be very proud of his efforts. South Ramsey team mate John Kennish was also in fine fettle to make the last eight before being eliminated by eventual winner Ian Nicholson 21-16 in the quarter-finals. ​It was a similar story for Price who won well in her first two games before going down after a fight 21-17 to Sarah Fox (Woodlands Park). In her semi-final she beat Julie Pearce (Meole Brace) 21-12 after taking down Doody-Millington 21-15 in the quarters. Again Christine should be really proud of her efforts as she really did give a great showing in the competition. ​The last chance Mixed Final saw one of the main competitions pre-tournament favourites Chris Slater (Colwyn Bay Legion) produce a good display to beat Martin Middleton (Meole Brace) 21-14. ​The final singles competition of the week, the visit.com flyer, saw two locals battling out with Alec Taylor (Peel Sunset) handling the conditions better to defeat Edward Carlyle 7-0. Congratulations to Alex on his win. ​As always the doubles competitions provided a lot of entertainment and another chance of success for visiting and local bowlers alike. The main open doubles was won by Dave & Ben Phillips (Lloyd Hotel) who were on song winning 11-2 against Leighton Roberts & Nick Hughes (Cunliffe). In the men’s event Bob Whyatt & Steve Baskerville took the title with an 11-1 victory over Mel Hobson & Andrew Moore. Jimmy Samson (Douglas) was the furthest of the locals losing out with visitor Stuart Marshall 11-8 to the eventual winners at the semi final stage. ​In the ladies competition there was a Manx victor as June festival champion Jenny Moore (South Ramsey) took the crown with Patricia Lonsdale (Morecambe Bay Mixed) as they beat Dawn Bray and Janet Cropper 11-5. ​Elaine Moore just missed out on a mixed doubles win as her and partner Tony Parsons went down 9-5 to Paul Drabble & Nicola Gilmore. Thanks as always goes to the Department of Economic Development for their continued support of what is without doubt one of the premier events on the bowling calendar. It was also great to see quite a lot of new faces, as well as regular ones, which is a good indicator that Steve Moore and his team are continuing to do a fantastic job in both promoting and running both the June and September Bowls Festivals. On Saturday the Ballaugh Bowling Club held the Keenan 4’s Mens Doubles Trophy. With an entry of 39 pairs it was always going to be a long day for both the Competition Hut and the Kitchen teams as well as the players. Despite the forecasted bad weather most of the rain passed us by and the green was running well. By the time the final was played there was blue skies over Ballaugh..
After nearly 7 hours play the winners were Matthew Keggen & Rob Monk who beat Colin & Tom Kelly In the final. Losing semi-finalists were Jordan Cain & Bob Clark and Neil Withers & Paul Dunn and the losing quarter finalists were Adrian Skinner & Kevin Quirk, Mike Hargraves & Ian Kissack, John Keenan & Peter Graham and Geoff Porter & Norman Radcliffe. At the conclusion Club President John Keenan thanked all those who helped to make it a success and presented the prizes..
Best placed home greeners were John Keenan and Peter Graham getting into the quarter finals with three other pairs getting two games. 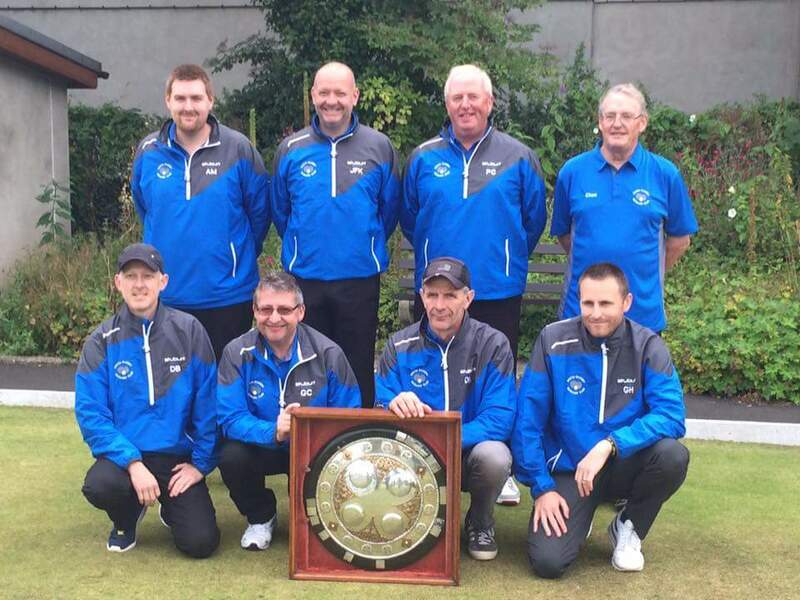 The last two quarter-finals of the JMS Veterans shield took place on Thursday 18 August.Mooragh Park visited Marown but were unfortunately unable to replicate their form from Tuesday. With Marown winning four games to single figures the visitors had little chance despite a win from Moira Anderson and a 19 from Maureen Wright against Celia Joughin. Things were much tighter at Port St Mary A, where the home side won 4 games, with Ann Maddrell winning to single figures, the two winners for Ballaugh being Mary Simmonds and Jenny Maddrell. When the handicaps, based on league positions at the half-way point of the season, kicked in, the visitors went through by just 2 points. The JMS semi-finals take place on Tuesday 13 September at 10.30 am. 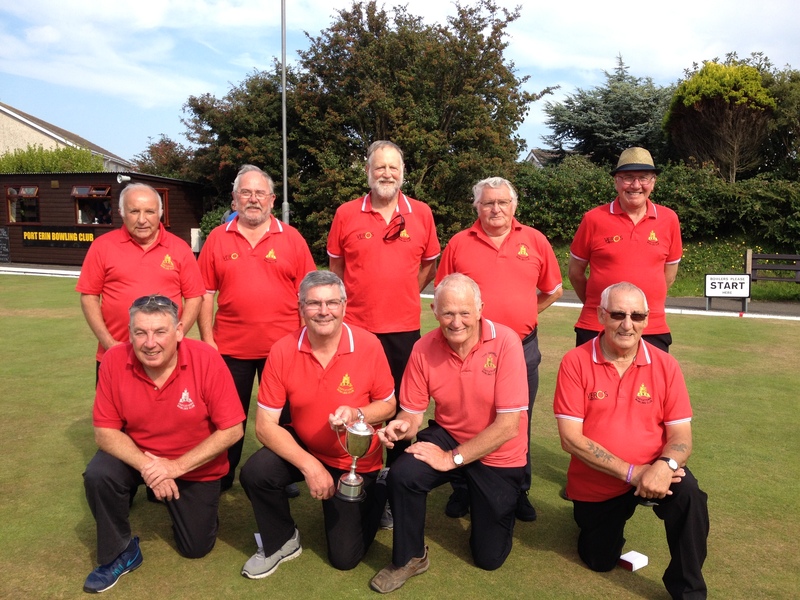 The Trend sponsored over 60’s league came to a close on Tuesday 16 August with Port St Mary A retaining their title with a margin of 200 points over their nearest rivals Peel Sunset who ended 15 points clear of Castletown. With Ann Hollingworth and Margaret Tasker both losing their last games it left the field open for Maureen Payne to leap-frog over them both to claim the individual merit, with Ann Hollingworth in second place and Tricia Bull just pipping Margaret for third. Onchan finished the season with a bang, recording a maximum against Breagle, with Lynda Clarke coming through 21-20 against Kay Primrose- Smith, and Steff Swift reaching 19 against Libby Andrade. Nobles won two games at Port St Mary A, Sylvia Kennaugh and Lin Ruscoe coming through Tricia Bull and Margaret Tasker respectively. Runners-up Peel Sunset finished their campaign at Port Erin, winning 4-2 on games with Mary Moffatt and Heather Horsburgh winning to single figures as did Jackie Elliott for the home side.It was a close affair at Villa, ending level on games with Castletown finishing with a two point advantage, while Ballaugh were unfortunately a player short for the visit of Port St Mary B. Mooragh Park finished strongly against Marown, winning 4-2 on games with Peggy Freeman winning her first game of the season and Anne Kean her second. The final scheduled matches in the C Tarleton Hodgson sponsored ladies league were played on Friday 19 August and despite losing to South Ramsey Port St Mary are once again league champions. Second place still hangs in the balance as two matches postponed from earlier in the season have still to be played. The match between Peel Sunset and Mooragh Park will have little impact on the overall table, but South Ramsey need to score 163 against Nobles (not an easy task!) to overtake Castletown for second place. With a game still to play, Jenny Moore looks to be favourite for the league merit but strange things do happen and it is not yet cut and dried. South Ramsey and Nobles both put in strong performances this week, South having a 5-4 win over Port St Mary, with a comfortable points difference, while Nobles were ruthless against Douglas who failed to pass the 100 point mark. Brenda Williams was the only winner for the visitors, denying the home side a full house. Onchan were once again three players short, although the six they fielded fought well with four wins, a 19 and Barbara Kennaugh’s 20 against Celia Joughin. It can only be hoped that they will be able to find some new players over the winter and come back next year with all guns blazing ! Top scorers of the week were Purt le Moirrey against Mooragh Park, who were also a player short, Caroline Parker being the fly in their ointment when she denied them a full house. South Ramsey A have done it! They have won their first ever Ellan Vannin Fuels League Division One title. It is nothing more than they deserve after a season which they dominated for the most part, although they didn’t sign off their campaign the way they would have hoped narrowly going down 6-4 away at Port St Mary A.
Port’s impressive victory was enough to ensure they secured fourth spot and hold off a fast finishing Douglas A side who turned on the style down the road as they beat Port Erin A 9-1 to finish two points adrift in fifth. Four points for South away from home were enough to clinch victory finishing six points ahead of Marown A who ended their challenge with an 8-2 win over Douglas B to take second place. 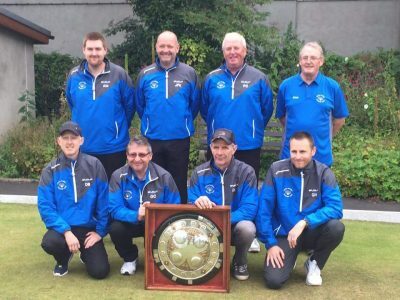 It is hard to explain to people from outside the local bowling fraternity how impressive this win is as the sport has been so ruthlessly dominated by Onchan A and Marown A in recent memory and for anyone to break this stranglehold is a monumental achievement. The last time neither of the old firm won the title was in 1996 when Casteltown A took top spot, and for the past fourteen years Onchan and Marown have occupied both first and second places. South have been simply superb this season and they add this league title to the Rayner shield that they won a few weeks ago. Club stalwart John Kennish finished the season unbeaten to take the Division One Merit ensuring his side completed a clean sweep of all the major honours. Congratulations to both John and South Ramsey on the clubs finest ever season, and with the players in their ranks it would be hard to be against them doing the same next term. 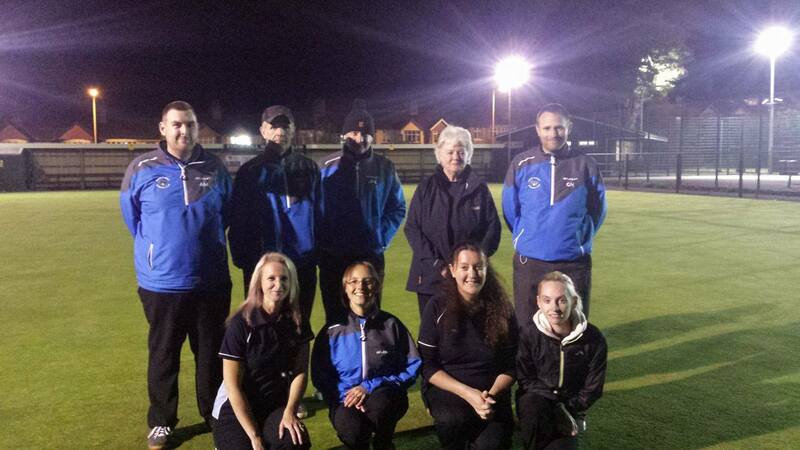 Although Onchan A had to relinquish their title they finished the season in fine form beating South Ramsey B 10-0. They have been magnificent champions and will be remembered as such and if they can start their next title challenge the way they ended this one they things could be very different. North Ramsey A defeated Nobles A 7-3 to finish in sixth spot and relegate their opponents along with Finch Hill A who had no game this week. Ballaugh A completed an Houdini like escape as they picked up a surprise 7-3 victory over Castletown A to finish just one point above the relegation zone and ensure they kept their seat at the top table for 2017. Overall this has been a memorable season with some brilliant bowls played, some unbelievable shock results but I have to say in the end the best team won and South Ramsey A deserve all the accolades and plaudits afforded them. I think next year could be an even more thrilling season and I approach the winter break with bated breath in anticipation of what the 2017 season could have in store for us. I would like to end by thanking Ellan Vannin Fuels for their sponsorship of the leagues and for forming a partnership that is helping the bowls association develop the sport on the Island.